Ebanour romps to the win in the open timber race at the Elkridge-Harford Pt-to-Pt. The weather forecast had everyone worrying that the Elkridge-Harford Pt-to-Pt would possibly be canceled because of snow this past Saturday! 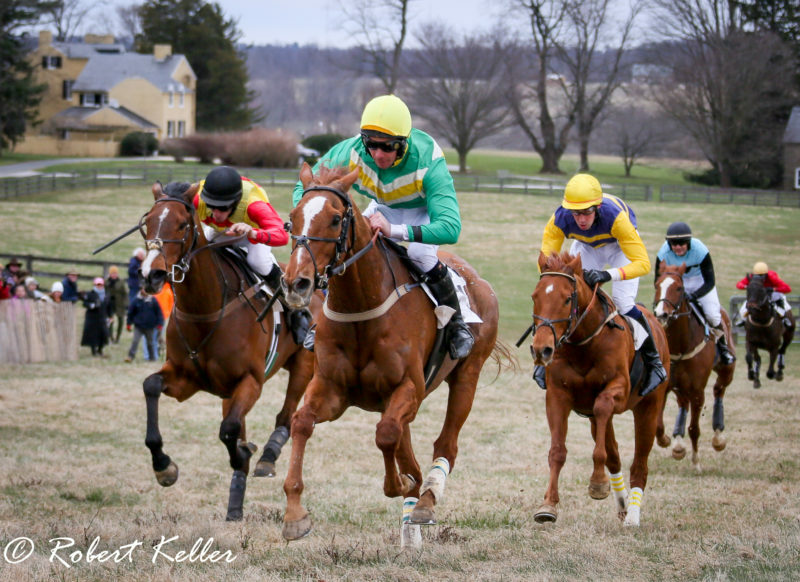 Luckily, the weather held and the several horses prepping for the spring sanctioned amateur timber races showed up to face off at the Monkton, Md. point-to-point. The open timber attracted nine “heavy hitters” from the timber racing world, including top timber horse Ebanour who edged out 2016 Maryland Hunt Cup winner, Senior Senator, by 1 ½ lengths. A look at the results shows a day of full fields for the day, which included a good showing of graduates who participated in the National Steeplechase Foundation Developing Rider Program over the years including John Brophy, Alex Fulton, Eric Portez, and McLane Hendriks. And welcome to Mackensie Rossman, who had her first ride over timber on Sumo Power. You can read about the day in the Baltimore Sun, which also includes some video. And Bob Keller captured some great images of the day. 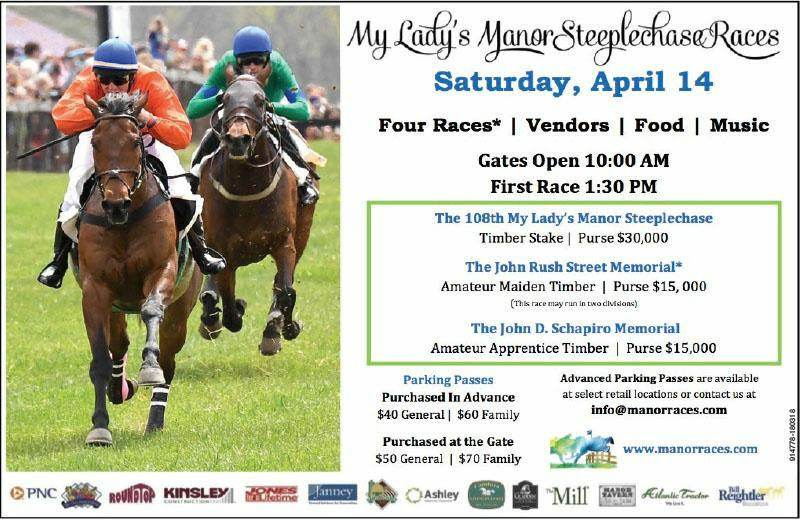 For timber racing fans, springtime in Maryland means the road to the Maryland Hunt Cup and this Saturday, April 14thmarks the first sanctioned strictly timber hunt meet for those headed to “the big dance.” A healthy field of maiden timber horse entries at the My Lady’s Manor made for a split race. 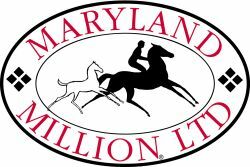 Professional riders Darren Nagle and Willie McCarthy stick around the mid-Atlantic this weekend to ride the My Lady’s Manor feature $30,000 timber stake, foregoing the hunt meet at Tryon further south. Get the full details of the race here: Drift Society Heads My Lady’s Manor. Point to pointing heads to Fair Hill Pt-to-Pt, whose course is just outside the NSA office in Elkton, on Sunday. The overnights revealed eleven more junior entries than open entries, with over 100 total entries slated to run on the Sunday. Organizers are hoping the weather holds! 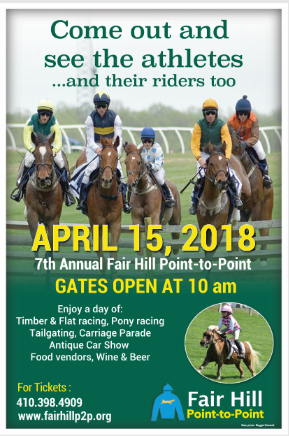 Visit the Fair Hill Pt-to-Pt website to learn more about how you can get you can spectate.